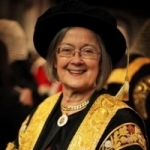 Brenda Marjorie Hale, Baroness Hale of Richmond, DBE, QC, PC, FBA is a British legal academic, barrister, judge and a Justice of the Supreme Court of the United Kingdom. In 2004, she joined the House of Lords as a Lord of Appeal in Ordinary. She was the only woman ever to have been appointed to this position and served as a Law Lord until 2009 when she, along with the other Law Lords, transferred to the new Supreme Court. She remains the most senior female judge in the history of the United Kingdom. Baroness Hale was educated at Richmond High School in Yorkshire and went on to study law at Cambridge where she received a starred first. In 1966 she became an academic at the University of Manchester, eventually becoming a professor, and specialising in social welfare law, family law, mental health law and women and the law. She also studied for the Bar, topping the list in the Bar finals in 1968 and practising part-time as a barrister for three years. In 1984 she became the youngest person and the first woman ever to be appointed to the Law Commission. Over the course of the nine years she spent at the Law Commission she instigated a number of key reforms in family law, health law and criminal law. She initiated and led the Commission’s work which produced the Children Act 1989 - a fundamental and radical re-casting of the relationship between parents, children and the state. She became a QC in 1989, and was a recorder from 1989-1994 when she was appointed a Judge of the Family Division. In 1999 she was appointed a Lady Justice of Appeal and on 21st October 2003 became the first ever woman Lord of Appeal in Ordinary, or in more common parlance a Law Lord. In addition to these achievements, she has been a trustee of the Nuffield Foundation, and the driving force behind the development of research on child protection, family law and civil justice. She is also the Chancellor of the University of Bristol, President of the UK Association of Women Judges and currently also of the International Association of Women Judges, President of National Family Mediation and Visitor at Girton College, Cambridge. 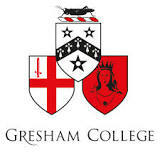 She has been awarded honorary degrees and the Times Woman Lawyer of the Year Award. She continues to write and has just published the 5th edition of her text book on Mental Health Law.